Camp Chef 2-Burner Stove Just $68! Down From $121! You are here: Home / Great Deals / Amazon Deals / Camp Chef 2-Burner Stove Just $68! Down From $121! Amazon has this Camp Chef 2-Burner Stove for just $68 (Reg. $121)! 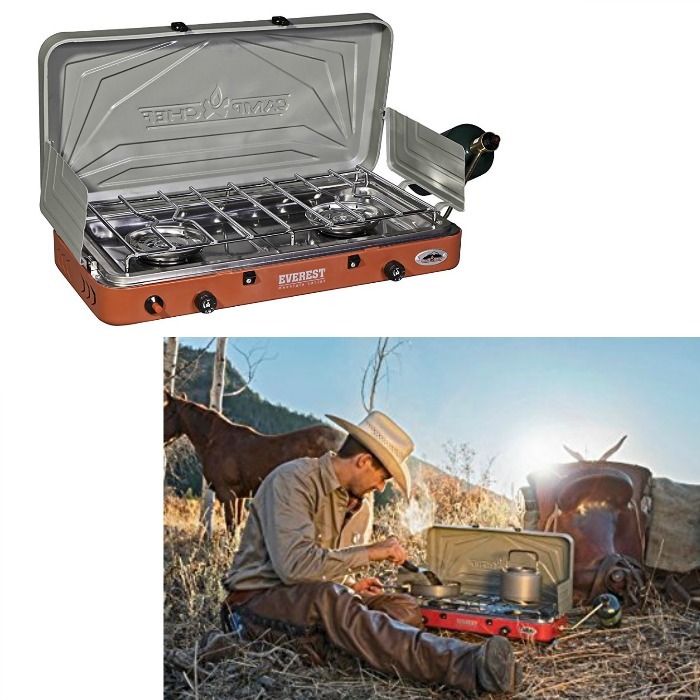 Don’t be fooled by its size, the Everest 2 Burner Stove packs a lot of power under the hood. Two high-pressure 20,000 BTU burners pump out all the heat you’ll need to handle your cooking needs and feed your family. A matchless ignition systems fires up the Everest quickly and easily. Piezo igniter sparks the stove to life with a push of the button, eliminating worries about wet matches and burning your hand.